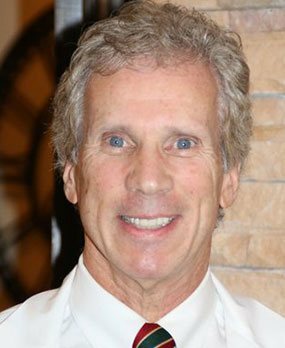 Dr. Michael Connolly, Chicago dentist, is committed to providing you with excellent dentistry in a comfortable environment. You deserve a skilled, experienced dental team that can help you ensure great oral health. Experience what patient-centered care can do for you. We welcome new patients of all ages. Clear communication is important to our team, and we can speak Spanish to best serve all patients. A beautiful, healthy smile can improve your confidence, self-esteem, and overall health. Our cosmetic dental solutions include porcelain dental veneers, cosmetic bonding, teeth whitening, and more. Improve your quality of life by achieving the smile of your dreams. Visit our Dental Solutions page for more information. For your convenience, we offer flexible hours for scheduling your appointments including same day appointments when available. To work around your schedule, we have extended hours on Tuesdays as well as Saturday availability. If you have a dental emergency outside of our operating hours, the Doctor can always be reached on his cell. We will ensure you receive the dental treatment you need in a timely manner. For more information, visit our Contact page. "Great doctor. Cares for our entire family and his entire team is top-notch!!!!" "Dr. Connolly and his entire staff care about my overall dental health and do so in a welcoming, state-of-the-art facility. The entire staff takes their time to explain what they are doing, provides suggestions for how to maintain long term oral health, and allow me to be part of the decision making process for all procedures. Dr. Connolly is great with my children and they actually look forward to going to the dentist." "Dr. Connolly and staff work hard to make you feel very well taken care of and in good hands. Dr. Connolly treats you with TLC so those who 'fear' the dentist have no worries. Great Dental office and staff." For more than 30 years, Dr. Michael Connolly has been spreading smiles in Chicago. After graduating from St. Norbert College in Wisconsin, Dr. Connolly furthered his education with a degree from Loyola University’s School of Dentistry. Since then, his full commitment has been on providing unparalleled service and expertise that makes our patients feel and look younger, healthier, and more confident.